Green Creative MR16 LED Bulb, GU5.3 7W (50W Equiv.) 36 Deg. Beam - Dimmable - 3000K - 560 Lm. Green Creative MR16 LED Bulb, GU5.3 7W (50W Equiv.) 36 Deg. Beam - Dimmable - 2700K - 525 Lm. Green Creative A19 LED Bulb, E26 9W (60W Equiv.) - 120-277V - 2700K - 800 Lm. Green Creative MR16 LED Bulb, GU10 6W (50W Equiv.) 36 Deg. Beam - Dimmable - 3000K - 450 Lm. 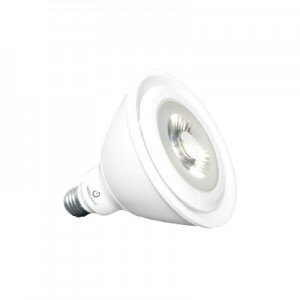 Green Creative A19 LED Bulb, E26 9W (60W Equiv.) 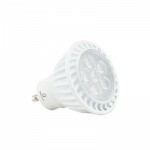 - 120-277V - 4000K - 850 Lm. 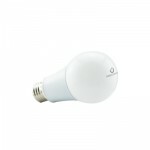 Green Creative PAR38 LED Bulb, E26 19W (120W Equiv.) 25 Deg. Beam - 120-277V - 3000K - 1260 Lm. Green Creative MR16 LED Bulb, GU5.3 7W (50W Equiv.) 36 Deg. 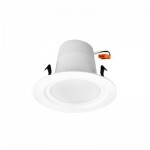 Beam - Dimmable - 4000K - 580 Lm. 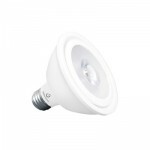 Green Creative PAR30 LED Bulb, E26 14.5W (75W Equiv.) 40 Deg. Beam - Dimmable - 3000K - 850 Lm. 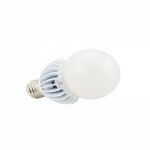 Green Creative A21 LED Bulb, E26 17W (100W Equiv.) - Dimmable - 3000K - 1650 Lm. 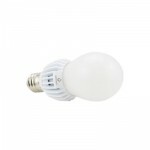 Green Creative A19 LED Bulb, E26 12W (75W Equiv.) 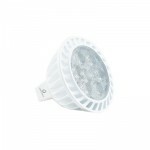 - Dimmable - 4000K - 1180 Lm. When it comes to LED technology, Green Creative is ahead of the curve. 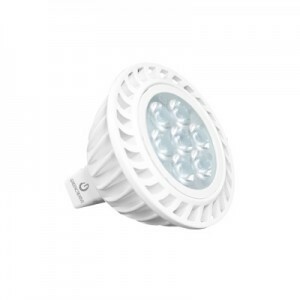 The LED lighting development and manufacturing company operates out of California, innovating a wide range of solid state lighting and retrofit solutions over its many years in the industry. These products reduce carbon footprints by reducing electricity and cooling bills as well as costs associated with maintaining and replacing inefficient light bulbs and fixtures. In fact, Green Creative lighting products are so ecologically-conscious that they don't contain Mercury or other detrimental products for the environment. Here at Westside Wholesale, we stock a wide range of Green Creative light bulbs for the most common applications, as well as niche uses. Many are dimmable and we carry many line and low voltage bulbs that meet rigorous energy efficiency standards. This is the most common light bulb shape. Replacing a standard incandescent bulb with an LED bulb can pay for itself over its lifetime, which is typically much longer than the life span of an incandescent bulb. 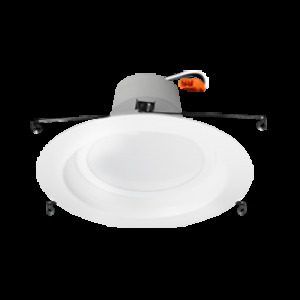 These lamps replace the standard halogen bulbs used for directional lighting, which allows for targeted light. They come in various beam spreads, color temperatures, and bulb bases. 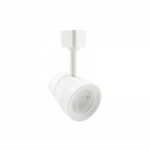 This bulb type is probably the most popular flood light. BR bulbs are meant for smaller fixtures than R-style bulbs. A BR40 bulb would have a wider bulb and beam angle than this BR30 style. A PAR20 bulb is also a directional light, except its unique PAR shape allows for an even more precise flood light. 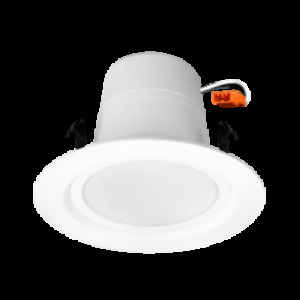 Plus, using LED technology for a PAR bulb means less maintenance and replacing of recessed and flood lights in the home or business. We sort our LED light bulbs by shape, base, lumen output, color temperature, and much more. This way you can quickly find the Green Creative bulb for your specific needs. As eco-friendly LED lighting becomes more popular and affordable, professional and home builders alike can turn to Green Creative lighting products for retrofit applications. Whether replacing standard bulbs around the home, setting up a reliable track light system, or brightening up an office with Green Creative LED T8 lights, you can be sure to find a great price here at Westside Wholesale. Contact a Westside Wholesale team member if you have any questions or would like to place an order.